Oprah Says, “Doubt Means Don’t”…Or Does She? I just spoke to a client who needed some reassurance that she wasn’t making a mistake in marrying her loving, caring, passionate, open, honest partner with whom she shares core values and is aligned in terms of life goals. Given that list of qualities about her clearly healthy relationship, how could this be a mistake? It couldn’t, but in a culture that says “doubt means don’t”, any valid questioning and expression of healthy fears about making the biggest commitment of one’s life are immediately interpreted as signs of a mistake. For the anxious mind, doubt is inevitable. For the mind that examines every decision under the highest resolution microscope possible, that asks important questions like, “How do I know that I love him? What is real love anyway? How do I know that we’re not going too end up like my parents or as part of the 50% divorce statistic?”, doubt is actually another word for fear. And since fear’s entire mission in life is to keep you protected from the possibility of getting hurt, it will naturally make a strong appearance as soon as the concept of marriage becomes a reality. That’s when fear – or doubt – shows up and tries to get you to run for the hills. Should you listen? In the wise words of my client speaking about every area of her life (not just engagement anxiety), “If I listened to doubt, I would never get out of bed in the morning.” In other words, doubt is a normal part of the terrain of the anxious mind. When you learn to deal with anxiety effectively, you hear fear’s lines but you don’t heed its advice; it will always shoot its darts into your brain but you learn not to take the poison. So to buy into the cultural lie that “doubt means don’t”, whether you’re getting married or starting a new job, is like laying yourself prostrate at fear’s feet and saying, “You win. You rule my life.” And, as my client said, you would never get out bed. You live without risk in the safety of a carefully controlled box. You’re alive, but you’re not really living. The problem arises when we equate doubt with instinct instead of with fear. If you’re walking in a forest and you have an instinct that a tiger is lurking around the next tree, listen to it! But in this case, instinct is more likely an acute awareness of the here-and-now environment: you’re hearing a far-off, unfamiliar sound, you’re seeing a slight movement in the leaves of the tree, you vaguely smell an unfamiliar smell. Being a highly sensitive person, your senses are more attuned to what’s happening around you than other people’s. But the main point is that you’re attuning to something dangerous that’s present right now. The modern-day anxious mind perseverates on “what if” thoughts, which are based in an imagined negative future and , thus, are unanswerable. My point is that you should listen to your fear/doubt if there’s something right in front of your that’s dangerous or scary – like a partner that has an addiction, abuse, trust, or control issue – but not if it’s hell-bent on convincing you that marrying a loving, caring man is a mistake. After a bit of a back and forth, it turns out that we were saying the same thing using slightly different language. Oprah wasn’t saying that if you’re feeling doubt that you should call the whole thing off; she was saying that doubt is a sign to slow down and turn inward so that you can ask important questions and dig down to the root of your doubt. Is it stemming from natural fear/terror about getting married and making one of the biggest commitments of your life? Is the doubt a signal that you’re sinking into the underworld of grief, confusion, and vulnerability that defines transitions and projecting these difficult feelings onto your partner and your decision to marry because you don’t know that it’s normal to feel anything less than pure bliss during your engagement? Or is it an indication that you’re marrying for the wrong reasons (because you’re trying to please others) or that there’s a real, glaring, red-flag in the relationship that needs your attention? And there you have it, friends: Doubt does not always mean don’t. Doubt means slow down and listen to something important that’s trying to get your attention. Doubt means, “This is a huge decision and you need to examine it from every angle, and once you’ve determined that it’s a solid choice, you need to take the leap because, if you’re prone to anxiety, you’ll never arrive at 100% certainty (about anything).” And as this woman on Oprah shared, doubt can be the doorway into transformation, not just for yourself but for your marriage: “That transformation with God led us to a very intimate, loving relationship.” (Love that). For everyone who says, “I’m 100% certain that I’m marrying the right person” and ends up with a great marriage, you can find someone who struggled with engagement or newlywed anxiety and ended up with a great marriage as well. Likewise, there are thousands, if not millions, of people who marry each year armored with 100% certainty and end up divorced one or ten years later. And there are people who get married despite the doubt and end up divorced. The bottom line? How you feel about your partner and your decision to marry isn’t an accurate litmus test for whether or not your marriage will work out! Marriage is a risk and a leap of faith and there are simply no guarantees for its success. So if the decision to marry isn’t based on a feeling or a knowing, how do you know if you’re making a wise and loving choice? You assess your relationship from an objective perspective and ask yourself: Do we basically work as a couple? Are we good friends? When our hearts are open, do we connect? Do we support each other’s dreams and passions? Are there any glaring red-flag issues (addictions, gross misalignment of core values, unresolved control issues)? Do I like my partner’s essence – that place beyond personality quarks and human imperfections? Would a matchmaker pair us together? And then you grab your partner’s hand and leap off the cliffs of your wedding day, trusting that a thousand invisible hands (and some visible ones) will open like a parachute to support you on your lifelong journey of learning about love. What spiked you about that? That’s clearly not your situation, Stephanie! Love her or not, I generally love the message that Oprah brings. However, I know ‘Doubt means don’t’ is one she’s used on multiple occasions and I learned that this was something I disagreed with Oprah about after battling my fears. Thanks for clarifying it and giving a deeper meaning than just taking it out of context. It’s hard to believe that doubt can actually be blessing, forcing you to look deeper within yourself to find that nugget of truth. Or just find strength. I’m considering moving to the big city – NYC – and I am very apprehensive to leave my comfort zone. Do I have doubts? You better believe it! But, also, I trust that I won’t fail. Even the worst case scenario is something I can handle. I’ll learn from it, doubts or not. I have to agree with Stephanie, it caused me to spike too, but then again anything that says “This is a red flag if” causes me to think “Oh my gosh what if I’m like that?” I think someone posted on here once that it’s very easy (especially if you’re prone to anxiety) to find yourself in self doubt when you read about what things are bad and why you shouldn’t be with who you’re with. I think it’s a sign that if you have this anxiety about even reading these things that it’s safe to say the problem isn’t in the relationship but within you. It was also nice to hear from the woman in the audience about her experience. We live in a society where everyone says if it’s not perfect pitch it out, if you’re doubting anything get rid of it or go the other way. I know for me it’s so hard to even watch TV or movies anymore, but I’m glad I’m starting to learn and see the truth and recognize that it’s okay if you’re doubting. A great post Sheryl, and it comes at a great time. Thank you for clarifying the ‘doubt means don’t’ message in context. Very very helpful! This article is something I can come back to and remind myself when I’m feeling anxious. Stephanie: I can see how this would spike you. Let me clarify. There’s a subtle but crucial distinction between trusting how others see your partner when your fear is clouding your perception and staying with someone to PLEASE others or because it’s what they want but not what you want. It’s clear with you that you want to be with your partner, but you want anxiety and fear to get out of the driver’s seat! Do you see the distinction? KD: Thank you for sharing your wisdom. Much appreciated, as always…! I absolutely love this post. Posts like this make me feel so “normal” when I read them! I have been with my boyfriend for 4 and a half years now. He is such a great guy. Smart, handsome, funny, and super driven. But for some reason…my “anxiety prone” ways always leads me to the “what ifs” – what if we aren’t right for each other…what if there is someone better…am I settling..and the list goes on. This is why I am terrified to get married! Bc I am afraid of failing at this marriage/engagement, and it hasn’t even happened yet. And I do wonder also…am I with him bc everyone else thinks we are so great? But… when I am not anxious, and I see things clearly..I think “of course I want to marry this guy! I would be a fool not to!”…but sure enough, the doubts come rushing back in no time..and the cycle continues. I’ve also read a lot on ROCD – “relationshhip OCD” all very helpful. Thanks, Sheryl for all that you do! Keep it up! I also spiked a bit at that line. For me it was more that my fear hadn’t thought of that possibility yet and immediately pounced on it! In the beginning of my anxiety I started asking people for re-assurance for if they thought he was a good marriage match for me (they all said yes but I was never satisfied) and so now fear is telling me that by doing that, I am now marrying only to please them. However, I am able to find that thought humourous, because I am “hearing” it but not “listening” to that thought and I realize how ridiculous it is. I really, really, really, hate the line “doubt means don’t” and I have many scenarios in my life where I have a counter-example for that! I think now, every time I see that line I will link them this article! I’m glad I’m not the only one who spiked at that line. My issue is that the psychiatrist I saw briefly was convinced that I was only marrying my fiance because everyone was telling me that he is a good choice and the psychiatrist hated the fact that everyone was telling me that this is about me and not giving any credit to the idea that maybe it really was all about my fiance. That idea of doing it to please others is a sensitive spot for me now, even though I know I am not doing it just to please everyone. I am not so much of a pushover or people-pleaser that I would put myself in a position to marry someone when I knew deep down it wasn’t what I wanted. I would NEVER do that. So anyway, soft spot, but I was able to address the spike from a rational, core place. this just opens up my world!!!! I don’t have to be 100% certain!! What a load off! I just need to have a bit more faith, and take a leap!! Loved this one Sheryl. I pop in every once in awhile to read your articles (I’ve been married for 6 months now!) and feel more balanced each time I return to your site. My anxiety still shows up now and then, but overall, how I feel today was definitely worth the darkness I experienced during my engagement. Much love. And that’s exactly what the Wounded Self does, Stephanie: it zeroes in on the one phrase in the article that’s spike-provoking and hangs its hat there as if to say, “See, you’re making a mistake. Time to walk away!” I encourage all of you who were spiked by the article to read it a few more times and take in the overall message. Also, be sure to watch the video segment and digest this woman’s message, which is that even if you’re marrying with massive doubts and possibly for the “wrong reason”, but you’re marrying a good guy with character, marriage carries the possibility for transformation, not only for you but for the partnership. Sheryl I wanted to say that I was searching online about how to deal with anxiety and came across this blog. Me and my boyfriend have been together for a year and he has voiced to me that I am the woman that he wants to marry! He is such a great guy and has all the qualities I have prayed for in a man. I know that God has truly blessed me. But ever since he has told me that he wants to marry me, that is when the doubt started to come in and a massive amount of stress! I know that I love him and want to to marry him but the thoughts keep coming back. Once I read the article it brought tears to my eyes, because I felt like this was for me and it opened my eyes to what I have been feeling. I did want to ask how do I continue to cope with this issue because some days I am good and other days I feel so defeated. I’m so glad you found your way here, LaToya. The best suggestion I have for understanding and managing the anxiety is to give yourself the gift of the Conscious Weddings E-Course. 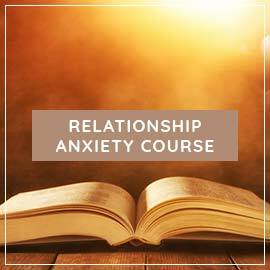 It’s the best course of action anyone struggling with relationship anxiety can take, whether partnered, engaged, or married. The sooner you take action, the sooner you’ll experience the relief that hundreds of e-course members have experienced. It would be helpful to see this conversation in more of its entirety. More Oprah clips are always useful. I’d like to post more of the conversation but I’m not sure if I’m allowed to for legal reasons! I’ll have to check in to it at some point. Hi, well certainly the other Oprah clips are far more extensive and were deemed permissible. wow.. LOVE the comment ‘youll never be 100% certain’ that is really what i needed to hear. anxiety really is the doubting disease and i have suffered with this for over a year now with my boyfriend. its so nice to know that other people feel this way. all this time ive been thinking that if you doubt it then theres something wrong and you should leave. i hate thinking about what if’s but i know i have a wonderful man and i am very lucky and i just need to keep sticking with that thought. sheryl what a wonderful site. thank you for giving us this gift, keep the good work up. This conversation sounds familiar! 🙂 After reading this post and the others’ honesty about their anxious reactions- it suddenly hit me that almost ALL of my biggest accomplishments and successes in life (personal, professional, even material) all BEGAN with me feeling awful: anxious, doubtful, scared, hopeless- from what college to go to, to why I should or shouldn’t go on certain interviews, to how much money I was spending on an apartment or car, to accepting job offers, or going against the grain at work. Yet, it was only in PUSHING through those feelings of “awfulness” that I took a risk and accomplished the things I’m most proud of. And I think if most of the posters above me looked back at the great things that they have accomplished, they might find a pattern of doubt, anxiety, and fear before hand. To gain something we’ve never had, we must risk the familiar. But Sheryl, you have taught me what (for me) has been the ONLY real treatment for anxiety- and that’s the ability to show up for yourself, and to be your own greatest source of support and healing. Now, like anything else, it also takes a village of family, friends, this community you’ve created, other professionals, etc. Thank you! Thank you for posting here, Rae! Your wisdom and insight continually inspire me and I have no doubt will inspire others here as well. Wow! I am so glad I found your website today!!! This is exactly what I am struggling with – seemingly unexplainable doubts about getting married to a wonderful man. We’re great together and I’ve been happy in this relationship but leery about marriage because I am divorced and my last marriage ended traumatically – he wasn’t who I thought he was. I have a life long history of anxiety which I’ve been treated for successfully but as my boyfriend and I were nearing time of getting engaged, I stopped treating my anxiety with medication (due to concerns about medications and future pregnancy) and then my anxiety flared up big time as our engagement loomed. I don’t want to lose this relationship and I’ve been doing everything I can to explore and overcome my doubts. Everything you are saying makes sense. 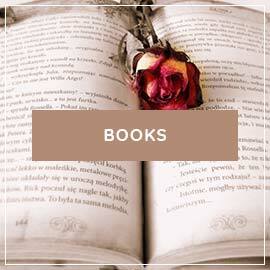 I am looking into the eCourse. Thanks so much for creating this website and sharing your experience and expertise! You’re welcome, Mindy! 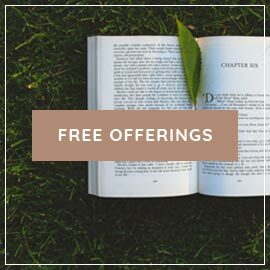 I’m so glad you found your way here and the eCourse would be a perfect fit for what you’re struggling with. Let me know if you have any questions about it. I became engaged in March last year and since August when I had a big emotional breakdown I have been suffering from anxiety and negative thoughts. At first I put it down to work and other things but even after I changed jobs the negative thoughts about whether I really loved my fiancé why don’t I feel anything when I look at him why do I feel so disconnected continued. Finally last weekend things came to a head and I told him that we should break up because it was the only way I would feel normal again yet at the same time I was telling him I didn’t want to leave him. He was brilliant and so understanding as he has been through this whole time. He took me out of the house for a walk and I talked through things. The next morning I found this blog post written only a few days before and it perfectly described me and how I was feeling as did the post below about intrusive thoughts. Just being told that I am not going mad and that what I’m going through is normal has been such a support to me I have had an anxiety free week and I now feel more equipped to deal with the next few months before the wedding day. What a fantastic story, Emily! I’m so glad you found just what you needed to make sense of your anxiety and help you break through to your love again. I feel like so many of these other women on here. I am a young bride and though age never mattered to me before, after a few months of being engaged I began experiencing major marriage anxiety (something I never thought I would feel) and chalked it up to age. After about a month of wanting to do nothing but lay in bed and sleep/do absolutely nothing with the wedding/ have my mom tell me that if it didn’t feel right then I didn’t have to do it and she was behind me (sounds nice in theory but not what I wanted to hear) I finally told my fiance that we should break up because I felt like that was the only way I could feel OK again. My fiance was so nice and understanding that he told me to take the time I needed. He is honestly the most wonderful man. He just takes his time and listens to me talk, hes polite, and sweet, and everything I could have ever wanted in a lifelong companion. That’s what I don’t get. Before we got engage everything was great! Then we get engaged and I question everything. And sometimes I find myself nitpicking everything he does. Things that he did before being engaged suddenly annoyed me and I found myself not really appreciating the man he is. We didn’t hardly talk for two weeks and I was miserable the whole time. I stopped taking Birth Control because I strongly believe that enhanced the feelings of anxiety (not the whole answer but definitely a factor) and that’s when I went on this search to find people like me. I came across this site and Sheryl’s youtube videos and in just a matter of days I have started to feel better. My fiance and I are back together and moving ahead with the wedding planning though I still do not feel totally confident and the anxiety hits me every now and then. Yesterday night I really dived into the site and felt so connected to many of the women because I see so much of my situation in theirs. I have been journaling constantly (which has helped) and trying to stay positive. I can’t say I am anxiety free but its not as severe as before. Any additional advice on how to keep my recovery moving? Welcome and we are so happy you found us here! I would definitely say check out the e-course and join it as well. It has a forum of wonderful men and women who know exactly what you are going through as well as a series of lessons to help you through this transition. If you can’t join the e-course, just know you are not alone and there is so much help that can be found on this website and through Sheryl! Well after reading these i found myself with tears. I have been married for 24 1/2 years. Doubted before we got married for he clearly had control/anger issues and was demeaning. I clearly married anyway and our marriage has been rocky ever since. We have been through counciling and I even for myself. Hard to give lots of detail but it certainly is a marriage that has been invested in(even if more on my part). We raised two terrific boys who dealt with a lot of the issues of their dads. I struggle all the time with staying or going. I am proud that no other woman raised my boys and my choices were my own. I find myself now in my mid 40’s struggling with wanting out and have filed for divorce(furthest I have ever gotten). Part of me knows out is the answer yet I have doubts about ending an agreement and children grown or not, which mine are in college, affects them as well. I feel like I’m scared financially but someone above wrote “even the worst case scenarios I can handle” which I believe I can. Why is it so hard to give the freedom to yourself? Am I doing what is right for me or what is right for everyone but me? If your husband has been unwilling to address his anger and control issues, then you’re making a loving choice to leave. If there’s any chance that he would be open to working on himself and you just haven’t found the right therapist yet, I would encourage you to head over to the Inner Bonding site to see if that work resonates with you, and consider booking a session with Dr. Paul (my mother). 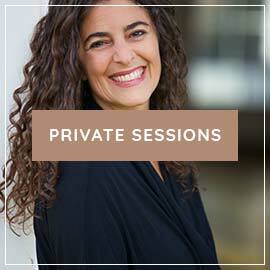 She’s brilliant with couples and could help you determine your end of the system. Welcome to the site, Jon. There are many more men lurking in the wings of my work than they let on : ). It’s definitely applicable to both sexes. It sounds like your partner may be carrying a lot of wounds because of her abusive marriage and it’s going to take her some time to risk being vulnerable with you. The best gift you could give her is to attend to your own feelings of loneliness or confusion when she doesn’t verbally reciprocate expressions of love and don’t put it on her. If you create a loving and safe space for her to open up, she eventually will. Thank you so much for your blog. I have been with my husband for five years (married 3) and I have had doubts while dating and while being married and I am at a stage again, where I am trying to figure out if this marriage is right for me. My husband is a good and loving man and he deserves for me to be sure about him. My issues with the relationship is & has been emotional intimacy, connection and my passion for personal growth. My husband rarely share personal feelings and thoughts (even though he expresses affection). I am a counseling student, who is deeply committed to my personal growth. It seems that we are deeply different creatures and I frequently feel very lonely in my marriage. The idea of feeling “this gap” in my marriage forever is frightening to me. I just find that my husband and I can’t have the type of meaningful conversations that make interactions exciting to me. At the same time he is loyal and loving. I am very confused and also scarred to decide to live without him, which may be necessary in order to be truly truthful with myself and him. I am also scared that I may just be projecting my own issues on my marriage and that I will make a mistake by leaving him. “Being sure” is often an illusory goal, but this is certainly a common area of frustration for women. Please email me directly so that I can get more a of a sense of your situation and counsel you accordingly. Thanks so much for this site! I have even with my boyfriend 2 years in feb, he’s perfect in everyday. We have gone through rough stages but always stuck side by side. I have been clingy in the past thinking he will leave me, I finally felt 100% comfortable and after a lovely weekend in qld I woke up one morning with all the what it’s? I started thinking I don’t love him anymore and all the other things u guys have written. It’s his 21st next week and the week after we are going on our first real holiday on a cruise ! I don’t want to ruin this with my stupid thoughts! I just want to know if it will go away! Reading these blogs has made me feel so much better, does anyone have tips to avoid these thoughts??!! My parents, fanily and all my friends kept reassuring me it was right to marry my husband. I KEPT SEEKING THIS REASSURANCE. We get on well and he treats me great but maybe i just want it to be right when it isnt? Got married recently and still feel like this! Did i make a mistake and should u have not asked anyone else? so frightened and cant stop worrying! It doesn’t sound like you’ve made a mistake, but it does sound like you have some work to do in terms of building your self-trust and excavating the root causes of your anxiety. Have you considered the Conscious Weddings E-Course? It was designed to address exactly what you’re struggling. My Black Friday sale ends in a few hours so now would be the time to act and give yourself the most loving gift you could give if you truly want to break free from your relationship anxiety. I suggest that you send her to my site, or continue to read through it and send her a few articles that you think might explain what she’s going through. Other than that, all you can do is attend to your own heartbreak and loneliness, which isn’t easy to do, but pushing her will only push her away. Sheryl, I have returned. My fiance and I recently broke up for the first time two days ago. It was a misunderstanding, and we are back together. The advice you previously gave me was spot on. My fiance read your advice and finally told me thats how she felt. Anyway I admit that I am naturally anxious and I think I worry too much sometimes. The thing is, I have never been in true love before and I think now that I am, im so afraid of losing it. My fiance is my bestfriend and I love her so much. Its just really hard because she is still not legally divorced and she still shares a house with her soon to be, ex husband. They share the house because of the agreement with the children. It bothers me so much that they live in the same house still and it seems like the divorce keeps dragging on. It seems everytime she goes to court it gets postponed. She always says, it will be finalized next month, then when that month comes, she says the same thing: it will be next month. Im worried that we will never live together and be able to start our life together. Sheryl, im waking up everyday still, wondering why this divorce keeps dragging on?, why she broke up with me when she says she has never loved anyone like she does me, and she still barely even expresses her feelings with me unless I say it first. Am I worrying way too much? The question isn’t really are you worrying too much but “is the worrying serving you?’ Worry is another mental addiction – like ruminations and intrusive thoughts – and it’s a way that you’re avoiding the underlying feelings out of control and uncertain. These are hard feelings to deal with and accept, so the wounded self grasps onto worry as a way to create the illusion of control. Nearly a year ago in January I went through a terrifying (and shockingly sudden) battle with panic attacks and depression that I somehow no longer loved my boyfriend of 3 years. This apparently had happened overnight; I was sitting in my room minding my own business, daydreaming about my relationship even, and the thought “it’s all over” popped into my head. Now I have an enormous amount of experience with anxiety and depression, but I had never experienced anything like this. Naturally I figured I needed to work it out, and the only conclusion I could come to was that this was a thought I had because it was true and I was just lying to myself that I still loved him. What followed was months of torturous bouts with nearly crippling anxiety and (what I eventually found out) was obsessive compulsive constant “checking” of my thoughts and ruminating to see if I still loved my boyfriend. It didn’t even occur to me that I wouldn’t have felt like my life was over if I truly had lost feelings for him! Now it’s technically not supposed to be good for someone with OCD tendencies to check online on a regular basis to make sure that they are normal as it is feeding into the anxiety, but it did lead me to this blog, and this was a wonderful help. I knew that I was just months away from when my boyfriend and I had planned on moving in together, and suddenly I needed concrete proof that it was a good idea and that we were meant to be together. Sometimes my anxiety was so bad I thought it would keep me from visiting him at his apartment, but I did not let it. I went ahead and felt the feeling, but made what I thought was the right decision. My boyfriend loves me so much as my friends would say, he is “great on paper” )obviously hinting that they dont think we will work out), but in the back anxious mind, I feel like I’m the one who put that image in my friends mind, with my complaining and doubt about our relationship. Why am I feeling like this? Why am I pushing him away, physically but mostly mentally, then grabbing him back. Why is he letting me? The most I can come up with in my head.. is that although there are a lot of great things about him, there are little things that just drive me crazy that he does (in a bad way). The way he chews, the way he drags on his conversations. Does this mean its not love? Are the feelings I’m having about the little things REALLY affecting my big picture? Sometimes I wonder if it is just my anxiety, or maybe I’m just a little crazy. Or… maybe just maybe.. I just don’t like him. Help. You’re not crazy and you’re not alone! In your non-anxious self, or before your anxiety hit, did you like him? Walking away from a loving relationship because of the way someone chews or talks is not a valid reason in my book. These are classic roadblocks that the anxious mind erects to keep someone who could actually love you at arm’s length. Keep reading through my site and you’ll learn more. Even though I know the root to the anxiety and the anxiety has diminished a little, I still feel numb and don’t have the loving feelings. Everything still feels weird. Is this normal? Firstly, I just want to thank everybody for posting their own experiences, it is brave of you and it means a lot to us all knowing that we aren’t walking this road alone. We are all in it together, side by side. That is such a comfort. I was dating my soon to be ex husband for 6 years before we got married, we stayed married for 2 and I can honestly say the whole time things felt off. I felt as if I was holding back a part of me, this was not due to him being anything from perfect, it was more something in me. He was my best friend. NOW ANXIETY HAS HIT! I am now flooded with doubt of ‘do I really love her?’ (this literally happened overnight) etc, when I know deep down that I do and the issue is not her, it is me. I am scared to give myself 100% because that means I could get hurt, it means that I could be left heartbroken (I have abandonment issues from my childhood). I think we convince ourselves that if we trust doubt and leave, we’re doing the right thing – because then WE are in control. I think that’s the thing in relationships, sometimes you’ve just got to go with it. Love is a choice, it’s a doing word. I need to always remind myself of that and I think we all do. We chose who we want to be with and to love that person, and I need to always say to myself that i CHOSE her, because she brings out things in me that nobody else does and she is truly an incredible person. I think we all need to trust that we are only given the cards we can play with, life is about growing and changing, it’s about challenging ourselves for more. Even if it means tackling anxiety head on beating it, together we can. I wish everyone all the best, I hope in the next few months and especially after we have moved in that this anxiety goes away, because this feeling right now is not pleasant at all. Hopefully as days/months & years go by I will look back at this entry and laugh, with her by my side. And a brilliant comment as well, Samantha. Thank you for sharing your story and your insights so beautifully and I’m so glad you’ve found your way here. Hi everyone! I, too, am a lesbian. I am engaged to the most incredible woman in the world. I have been dealing with relationship anxiety for 8 months now. It has been hell…to say the least. The worst part is dragging her into my depression. She has been so incredibly supportive. We have had several signs (plus my soul knows) that we have a soul agreement to live happily together in this lifetime. I know this is all happening for a reason. I’m trusting it. I’m growing a little further every day. Some days are better than others. It’s been very scary. I don’t want to let my mind win and live a miserable life. I want to live my truth. I really appreciate this blog. 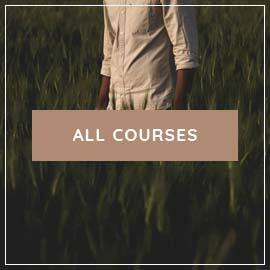 It seriously has been a life saver, and I’m going to be purchasing the E Weddings Course as soon as I can. The illusion anxiety can create is insanely complex and leaves me in awe. My anxiety (ego) makes me a completely different person. I am extremely excited to move past this. I’m so exhausted and so is my incredible fiance. She really deserves the best and I want to give her the best. Thank you everyone for your comments! They have been helpful. It’s nice to know you’re not alone!